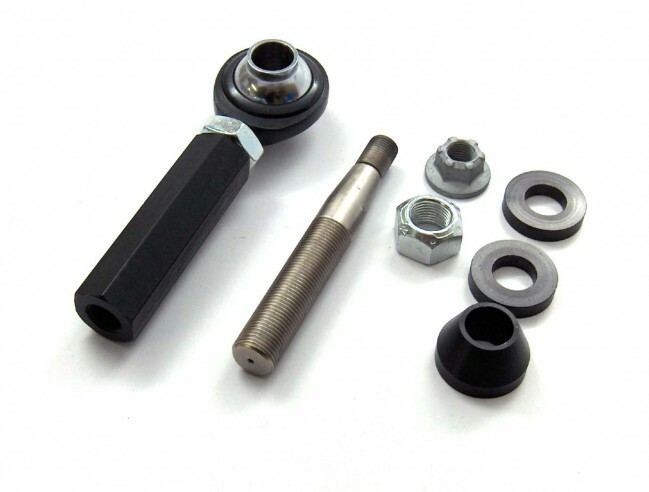 Our front tie rod ends allow the tie rod end pivot to be relocated, which will correct bump steer resulting from modified caster or lower arm geometry. The tie rod end pivot point is 5-way adjustable from -1/2" to +1/2". Precision CNC machined 9310 alloy shanks for 190ksi tensile strength to handle the abuse of racing/drifting. Also features T2024 spacers and buckles for strength/lightweight and QA1 65deg hi-misalignment bearings to prevent tie rod end binding on lowered cars.